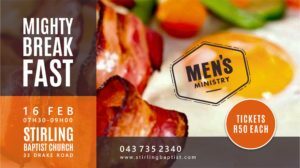 Join us for a hearty breakfast get together! Book your ticket at the church office or information centre on Sunday. 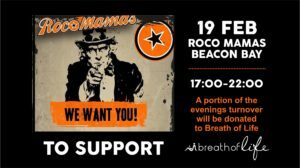 Dine out at Roco Mamas in Beacon Bay, in support of Breath of Life. A portion of the evenings turnover will be donated. 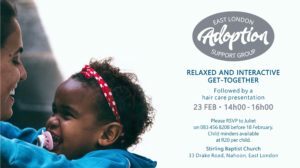 Support for families who've adopted children in East London. Join us for a relaxed and informal get together at SBC. Included in the line-up is a presentation on hair care. Childminders will be available at R20 per child. Please RSVP to Juliet before 18 February on 083 456 8208. 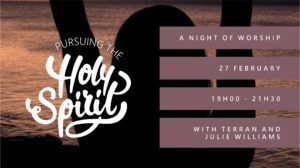 A combined Night of Worship with Terran and Julie Williams. 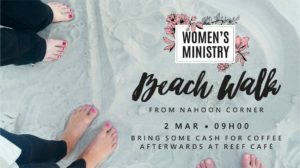 Ladies, young and old are invited to join us for a relaxing walk along Nahoon Beach on Saturday 2nd March. We'll meet at Nahoon Corner at 9am and head to The Reef Cafe afterward. Sunday School families join us for hotdogs, juice and games! 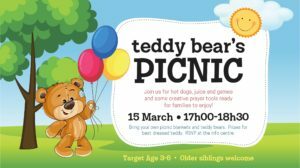 Bring a picnic basket and teddy bear. Prizes for the best dressed bear. RSVP at the info centre or call the office on 043 735 2340. 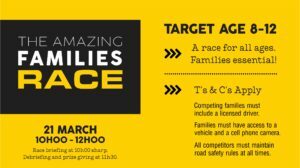 Target age 3-6, older siblings welcome! If you're over 60, enjoy a light brunch with us as we remember and celebrate what Jesus has done for us. 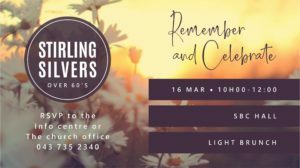 RSVP at the info centre or call the office on 043 735 2340. A race for all ages! Race briefing at 10h00 sharp! Debriefing and prize giving at 13h30. Live long and love it! 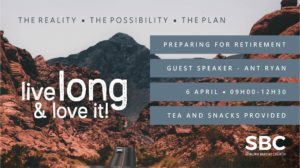 Three sessions with Ant Ryan: The Reality | The Possibility | The Plan Ant comes with a background in education and Human Resources management. He is chairman of Scripture Union South Africa and sits on various NGO boards. Sue is a clinical pastoral therapist in private practice. They have 4 daughters, three grandkids and a fat Staffie! Tea and eats provided. No charge. 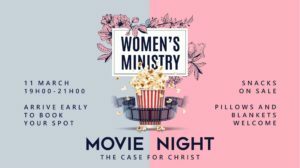 RSVP at the info centre or call the church office on 043 735 2340.